“The present review will provide an overview of the neurobiology, epidemiology, clinical impact, and treatment of cannabis use disorder (CUD) in mood disorders. Patients with mood disorders including major depressive disorder (MDD) and bipolar disorder (BD) have higher rates of cannabis use, and CUD compared to the general population. Reasons for this association are not clear, nor are the putative therapeutic effects of cannabis use, or its components delta-9-tetrahydrocannabinol (THC) and cannabidiol (CBD), in these illnesses. “The current study aimed to determine the impact of marijuana on mood in bipolar patients and to examine whether marijuana confers an additional negative impact on cognitive function. Findings suggest that for some bipolar patients, marijuana may result in partial alleviation of clinical symptoms. Moreover, this improvement is not at the expense of additional cognitive impairment. Cannabinoids biology: the search for new therapeutic targets. “Cannabinoids, in the form of marijuana plant extracts, have been used for thousands of years for a wide variety of medical conditions, ranging from general malaise and mood disorders to more specific ailments, such as pain, nausea, and muscle spasms. The discovery of tetrahydrocannabinol, the active principal in marijuana, and the identification and cloning of two cannabinoid receptors (i.e., CB1 and CB2) has subsequently led to biomedical appreciation for a family of endocannabinoid lipid transmitters. The biosynthesis and catabolism of the endocannabinoids and growing knowledge of their broad physiological roles are providing insight into potentially novel therapeutic targets. “Bipolar affective disorder is often poorly controlled by prescribed drugs. Cannabis use is common in patients with this disorder and anecdotal reports suggest that some patients take it to alleviate symptoms of both mania and depression. We undertook a literature review of cannabis use by patients with bipolar disorder and of the neuropharmacological properties of cannabinoids suggesting possible therapeutic effects in this condition. No systematic studies of cannabinoids in bipolar disorder were found to exist, although some patients claim that cannabis relieves symptoms of mania and/or depression. The cannabinoids Delta(9)-tetrahydrocannabinol (THC) and cannabidiol (CBD) may exert sedative, hypnotic, anxiolytic, antidepressant, antipsychotic and anticonvulsant effects. Pure synthetic cannabinoids, such as dronabinol and nabilone and specific plant extracts containing THC, CBD, or a mixture of the two in known concentrations, are available and can be delivered sublingually. 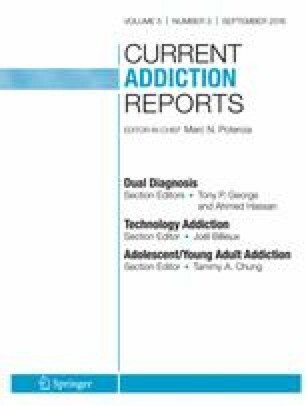 “The authors present case histories indicating that a number of patients find cannabis (marihuana) useful in the treatment of their bipolar disorder. Some used it to treat mania, depression, or both. They stated that it was more effective than conventional drugs, or helped relieve the side effects of those drugs. One woman found that cannabis curbed her manic rages; she and her husband have worked to make it legally available as a medicine. Others described the use of cannabis as a supplement to lithium (allowing reduced consumption) or for relief of lithium’s side effects. Another case illustrates the fact that medical cannabis users are in danger of arrest, especially when children are encouraged to inform on parents by some drug prevention programs. An analogy is drawn between the status of cannabis today and that of lithium in the early 1950s, when its effect on mania had been discovered but there were no controlled studies. “Preclinical and clinical data fully support the involvement of the endocannabinoid system in the etiopathogenesis of several mental diseases. In this review we will briefly summarize the most common alterations in the endocannabinoid system, in terms of cannabinoid receptors and endocannabinoid levels, present in mood disorders (anxiety, posttraumatic stress disorder, depression, bipolar disorder, and suicidality) as well as psychosis (schizophrenia) and autism.